UPDATE: On June 17, 2010, Stacy Brown confirmed that Jermaine DID change the original manuscript and added negative content about Michael Jackson. For years, Jermaine received flack from media and public, especially from Michael Jackson fans. He adamantly states that he did NOT write the damaging excerpts. SO DID JERMAINE WRITE THE EXCERPTS ABOUT MICHAEL? "Jermaine's "Legacy" project with me was NOT a damaging book about Michael. The only reason things got blown out of proportion was because Jermaine didn't think. He didn't use his head. When he and I worked on the project back in 2001 & 2002, it was sabotaged. Someone had duped our copy with another copy that contained fabrications and lies. They didn't want a positive book. I understand has a book coming out this fall and I know it will be positive and he should be given every opportunity to succeed and the fans should support him. It's important to note that Jermaine, Rebbie, Randy, Katherine, Joe and everyone else knew that I was an author and reporter before we became close. When I wrote the book with Stevie Wonder and his mother, I did a lot of TV and radio. My television & media appearances didn't just happen because of Michael's situation. So the idea of me looking for 15 minutes of fame remains preposterous. Fame isn't something I sought or seek. Never have and never will. I had also written books with Jermaine and Rebbie, which wasn't as flattering toward Joseph. I was reluctant to write Bob's book for him. However, Rebbie's husband urged me to write it because they weren't my words, they were Bob's. Rebbie did not want me to write it. My relationship with her was severed after the book. But, I looked up to Rebbie's husband and, in hindsight, shouldn't have listened to him. I did, so I take full responsibility. 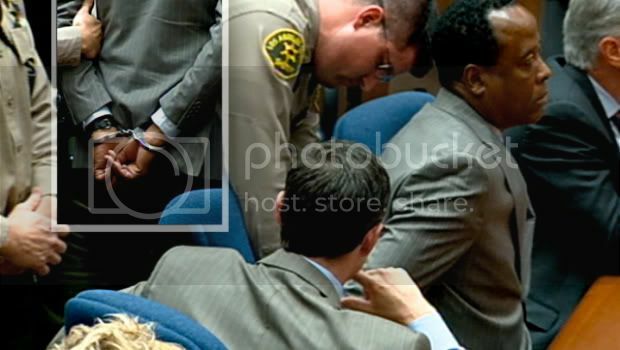 I testified at the trial which wasn't testimony that hurt Michael at all. My reason for agreeing to testify would shock you. The police had cornered a family member in Vegas and had threatened to subpoena that family member. That family member reached out to me and I reached out to Tom Sneddon and Detective Steve Robel. In the end, to help get that family member off the hook, I put myself on the line and offered up myself because it would have been really bad for the family member. Put it this way, he wouldn't be considered a family member anymore because a divorce would surely have resulted. Again, in hindsight, because some are so unappreciative, I should have let that play out and stayed out of it. In October of 2005, Michael and Tom Messereau went over the book in London and Michael later reached out to Bob and expressed that while he didn't like the book, he didn't think it was too big a deal and understood that Bob needed money. Michael had blamed Randy for Bob's firing and told Bob that. He said that "Bob had to do what he had to do to pay his bills" so Michael understood very well why the book. Now, I did say after the trial that I thought Michael was guilty. However, I always said that the jurors had the only ones whose opinion counted. When two of those jurors contacted me after the trial to ask me to write a book, saying that they were forced to vote not guilty, I told them to get lost and that I wouldn't do it. Because of that, I got temporarily dragged into another scandal but thankfully I was publicly exonerated by the New York Daily News. I also said that while I had a close relationship with others in the family, I didn't know Michael personally. I also said many times on television that if Michael is anything like his brothers than he is not a child molester. I hated when being interviewed someone would insist that I was a "friend" of Michael's. That was false. I had always been a major fan of Michael's and, believe it or not, I hurt inside because of his murder. Yes, I believe he was murdered. After the trial, false media reports surfaced of things I supposedly wrote and said. I did not say 95 percent of the things attributed to me. Also, I now realize that the "family" member who I covered the trial was the biggest manipulator and it was really that person's doing. That person always wanted to be able to say to the others "I told you Michael was no good!" That person pushed me to do the book, set up false stories in the press later, so that, that person could have something over that person's spouse and family and most of all over the Jacksons. I believe, that person, who blames Michael, Joseph, Randy, Jermaine and Latoya for everything that is wrong, is also planted a National Enquirer story about Rebbie and Grace and had the finger pointed at me! It all makes sense to me now while it may not to you. But, it's too complicated and "Lifetime Television movie-like" to explain. I don't and would not profess to be totally innocent of all the stuff that was said and written about and by me. I know that I took unpopular stands at times and I understand the anger of the Jacksons because they don't know the truth. I enjoyed the many times I spent talking to, working with, counseling and being counseled by Jermaine. Hanging out with Jackie and sometimes some of the others. I especially enjoyed going to Neverland, the most beautiful and serene place I've ever been. But, it saddens me to no end that the Jacksons are such a divided bunch. I wish them well and I wish them justice. Mostly, I wish them true peace, deep and close love for one another they sorely lacked. It is that lack of genuine love, in my opinion, that pushed Michael away from them. There will never be another Michael Jackson. We were blessed to be able to witness the greatness pop music entertainer who ever walked the earth."